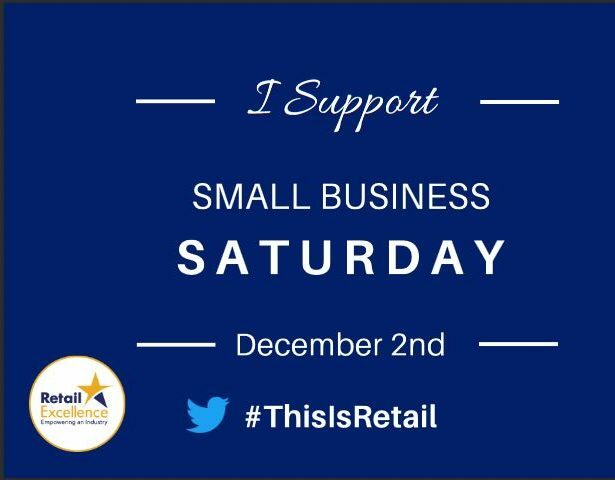 Small Business Saturday is a campaign that is supported and promoted by Retail Excellence, the largest retail representative body in Ireland. This is the fourth year of the Irish campaign which profiles small businesses and encourages consumers to shop locally and support jobs and enterprises in their respective communities. Retail Excellence wants to use this opportunity to help profile these smaller retailers and encourage all citizens to support them. With 37,400 businesses and 282,000 Irish jobs dependent on the industry initiatives like Small Business Saturday are crucial to encourage consumers to shop local and support retailers based in Ireland. It is critically important at a time when two-thirds of consumer spend online is fulfilled by businesses operating outside Ireland and in the face of falling excise figures recorded by the Department of Finance which is largely indicative of an increase in cross border shopping. That said, we want consumers to understand that their small change can make a big difference on Small Business Saturday in their local economy as €10 spent locally is worth €40 in terms of supported employment, supported communities and helping the business to continue to operate year round.